I'd heard about this place in Windsor St. Ann and purposed that on my next trip to Jamaica, I was going to find it and bring back the evidence. Here's my 2012 funny and irreverent video of the incredible Fire Water attraction sometimes called the Fire Hole in St. Ann's Bay, Jamaica. This is lovely! Thanks a million for 1) coming here to capture this phenomenon and 2) for sharing it with us. Interesting history too - based on the information from the gentleman (tour guide) there with you. Clifton is is name right? BIG UP Clifton!! I think I also heard him mentioned that the lady who discovered it is still alive (living in Higgins town here in St. Ann), now 112 years old- remarkable! And that the old lady later used it for therapeutic bath? This is astounding. I will agree with you that "Jamaica is truly amazing!" See also: More Astonishing Stories from travelers to Jamaica. GOD`S work must be manifested on earth. A sign of the time. The lady need some recognition and help. Very nice, I remember as a child going to the White River in St. Ann there was a section of the river that was salt, and it wasnt a section that was near to the sea it was way up stream. I wonder if anyone else knows about that and I wonder if I could go back and find that particular spot. I havent been to the river in yearssssssssss. Thank you for sharing this wonderful video of the FireWater Attraction. This FireWater is really amazing and I am sure without a doubt that this water is healing, it is magical and for sure God is real. I am definetly going to visit this attraction and submerge myself into this healing water for as long as I can endure, take a few friends so they too can enjoy this magic. 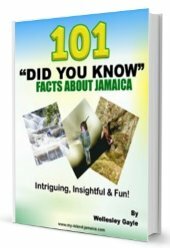 Jamaica is paradise filled with wonderful attractions islandwide, I have ventured to a few of them and definetly next on my list is the FireWater Attraction. Certainly I will also video my experience at this attraction and send you a copy. Thank you for sharing this wonderful attraction. Jamaica is truly amazing! I have done quite a bit of travelling in my career and have seen and read of many places that offer similar or equally astonishing phenomena. Immediately comes to mind, as I examine this video, is the Dead Sea of Israel. In my walks of Jamaica, I have also seen countless inspirations, creativity and natural phenomenon - from the tropics of Bath Fountain in St. Thomas, the majestic Cockpit Country and Buju! We somehow, collectively, must harness the bounty of wealth our beautiful island produces, nurture a society of L-P-H and share with the rest of the world - simplicity. Demonstrate love has no equal or comparison to hate! OneLove - Eyes are watching. 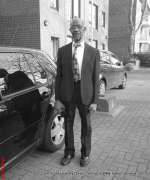 Revelation : Get-on-board; each one teach one! This attraction looks amazing,seen it advertised so often and still not been there,yet it's only a few miles along the coast, so making a plan to go there asap.Thanks for the video. Truly amazing!!! I've lived ALL my life in Jamaica and have never heard much less seen such a phenomenon! A must visit for me. Wellesley, thanks for helping me "discover" Jamaica.